Jack the Ripper is arguably the most famous serial killer of all time. 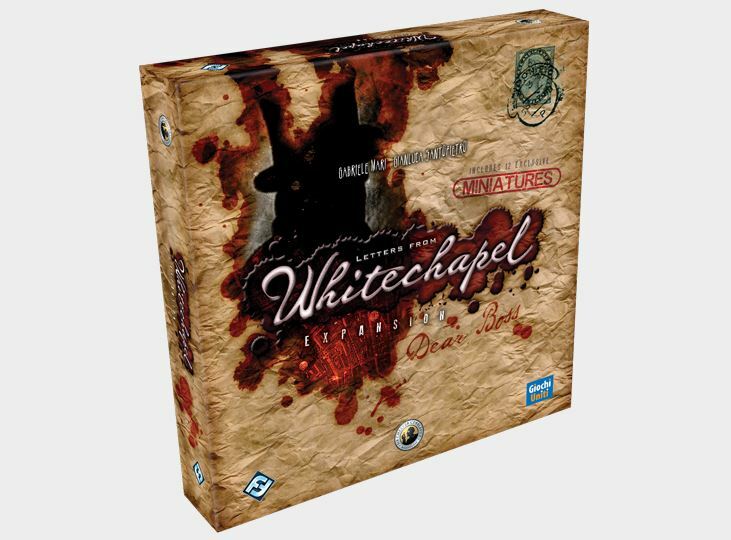 In Letters from Whitechapel, you get to play out those terrifying nights in London, either as the police looking to capture the monster, or as Jack, looking to find another victim and escape into the fog. Now, Fantasy Flight Games has announced an expansion titled Dear Boss that gives you even more options for when you play. This expansion set is mostly a group of different alternate items you can add to the game. It's one solid, single thing that you either use or not, but rather it's several different things you can incorporate into the game at your leisure if you want to change things up, or make it easier for one side or the other. This is done via the various decks that you can utilize, for example, for giving a specific personality to the cops and investigators looking into the case, each one giving you a special ability. Or, if you want it make it easier for Jack, you can us the potential victim cards to give him different bonuses depending on who he targets that night. You also get new miniatures you can use during your games. You can expect to see the Dear Boss expansion on store shelves sometime in the 4th quarter of this year.